The Board of Governors is authorized by the Creve Coeur Club of Peoria Board to oversee the day to day operations of the Club. Todd A. Hasty received his BA from Eastern Illinois University in 1992. He is Owner/Financial Advisor of Nash-Hasty Investment Services, Inc. from 1998 – Present. 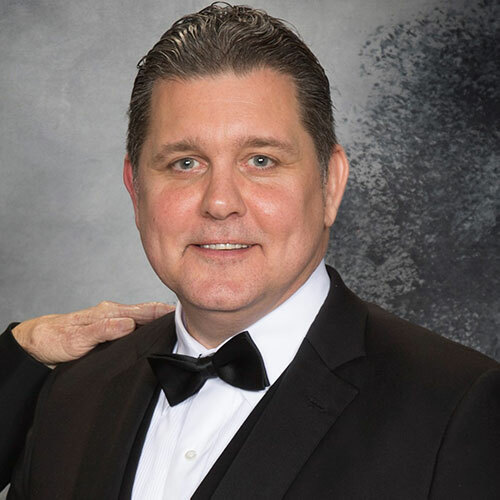 Previously, he was a Financial Advisor at Focused Investments, LLC from 1995-1998 and was Assistant Director of Branch Services at Herget National Bank from 1992-1995. Married to Amy S. Hasty, the couple has three children: Trey, Taylor and Tanner. Todd enjoys ice hockey, fishing and hunting. 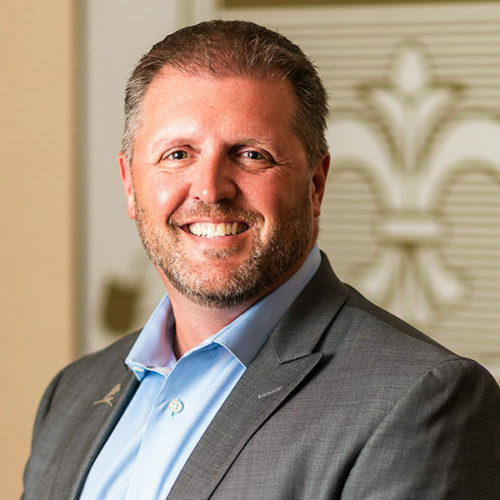 Brian Gruber is the Regional Director, Pearl Insurance and has been a member of the Creve Coeur Club since returning to Peoria in 2012. He serves as the Chair of the membership/marketing committee and the activities committee. He lives in Peoria with his wife, Sarah, and their two children. Jeff Boss graduated from Illinois College in 1978 and has been the EVP of Morton Community Bank for 15 years. Previous work experience includes CMS Mortgage Service, Inc. – VP Owner (7 yrs), Bank One, Peoria/Jefferson Bank – Sr. VP (5 yrs) and the First of America Bank/Champion Federal S&L/Bloomington Federal S&L – Sr. VP (10 yrs). Jeff was on the George Washington Day Banquet Cabinet in 2015 and his community involvement experience includes a Board Member and Chairman for the 2016 CEO Council, a Board Member and Chairman for 2016 at GPBA, Board Member for the Tazewell County Resource Center, Hometown Community Bancorp, Auxiliary Board Member, Property Committee, Morton Community Foundation and the Morton Chamber of Commerce. Married to Marty Boss, the couple have two daughters: Jeannie Medeiros and Julie Boss. Jeff enjoys biking, golfing, canoing and travel. 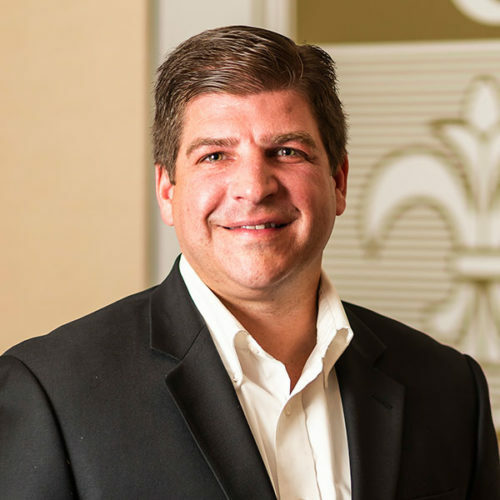 He enjoys the fellowship and networking…and of course the food at the Creve Coeur Club. 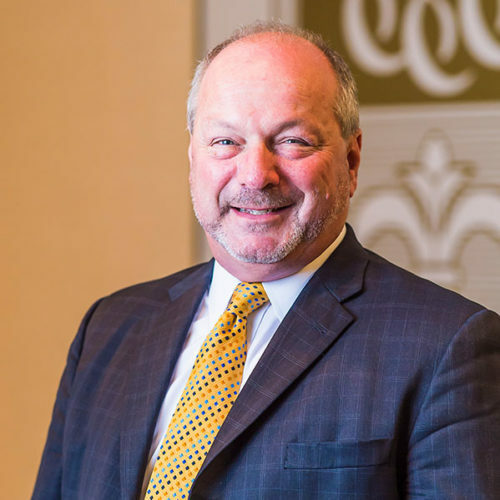 Wayne E. Baum graduated from Bradley University and sits as Chairman of the Board at CORE Construction Group. Business organization affiliations include Bradley University Civil Engineering & Construction as well as Easter Seals Foundation and the Peoria Symphony Orchestra Foundation. Baum sits as a trustee member for Eureka College, WTVP Public TV and Eureka College. 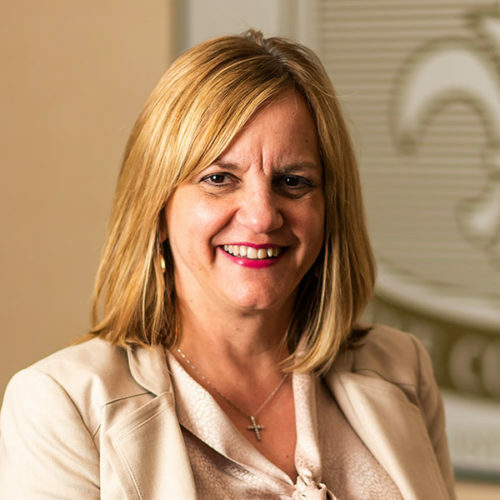 In addition, Baum serves as an executive board director for American Red Cross and is also a member of the advisory board for Central Illinois Memorial Kidney Foundation. Bradford B. Ingram has spent his entire legal career with Heyl Royster, beginning in 1980 in the Peoria office. Born in Pekin, Illinois, he became a partner in the firm in 1987. His defense practice has included a wide variety of civil litigation matters. He is the partner in charge of the firm’s Employment Law Practice Group. He also manages the defense of workers’ compensation cases and civil rights and municipal claims in the Peoria office. Brad has handled a full range of employment law cases on behalf of employers in state and federal courts and before administrative agencies. These cases range from claims alleging discrimination to related tort claims such as defamation, intentional infliction of emotional distress, and wrongful termination. He has also handled breach of employment contract cases. He serves as counsel to the Eastern Illinois University Board of Trustees, where he advises the Board on a wide variety of legal issues confronting the University. He is a member of the National Association of College and University Attorneys. Brad has been active in legal professional organizations in the areas of workers’ compensation and employment law. He is a past chair of the employment law committee of the International Association of Defense Counsel. Brad also serves on the Board of Governors of the College of Workers’ Compensation Lawyers. He is a frequent speaker to legal and industry groups on topics involving employment, civil rights, and workers’ compensation law. He also serves as a facilitative mediator having completed the Northwestern University Mediation Skills Training Program and is a member of several conflict resolution and mediation organizations. 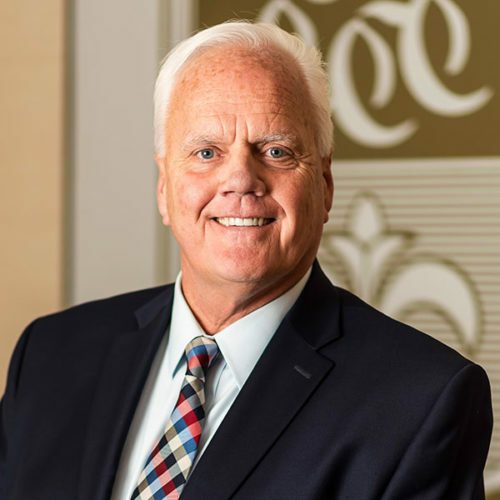 Creve Coeur Club of Peoria’s House Committee Chair, Thomas D. Menold, is President of Menold Construction & Restoration. Tom is also President of The Avenue Kitchen & Baths, and the James Dean Corporation, a land holding company. Tom is a journeyman bricklayer, served in the US Army from 1968-1970, and graduated from Southern Illinois University as a President’s Scholar in 1975. He founded the company that is now Menold Construction & Restoration in 1977. Tom and his wife, Sheryl, have been married since 1976. 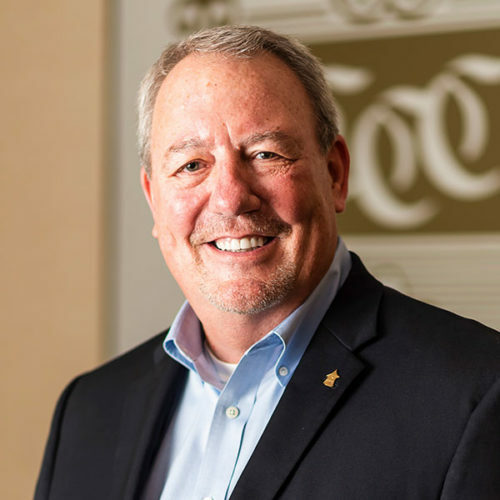 Tom serves on the boards of the American Red Cross and the Peoria Sister City Commission, and acts as both House Committee Chairman and Board of Governor member at the Creve Coeur Club of Peoria. He has served on the Morton Chamber of Commerce and was a member of the Morton Rotary Club for many years. Rand attended public school in Miami-Dade, Florida. A finance major from Clemson University, Rand became a licensed paramedic after receiving his Bachelors. Andrew Rand is Chief Executive Officer of Advanced Medical Transport (AMT) the largest downstate patient care transportation in Illinois. As twice re-elected Peoria County Board Chairman of District 4, Rand serves on the committees of Judicial, Management Services, Finance, and Transportation. Rand also sat as co-chair for the Peoria Promise Foundation, supporting economic development by increasing the number of Peoria high school graduates who complete a college or vocational program, ultimately delivering a more skilled workforce for Peoria. Andrew serves as board liaison in the County’s newly taken role as Animal Protection & Welfare Provider. 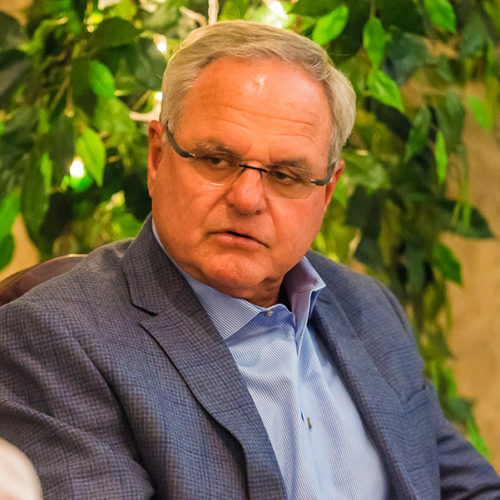 In 2013, Rand received the PINNACLE EMS Leadership Award for his career achievements at AMT. Rex K. Linder received degrees from Bradley University and Washburn University School of Law. He is an attorney at law with Heyl, Royster, Voelker and Allen. 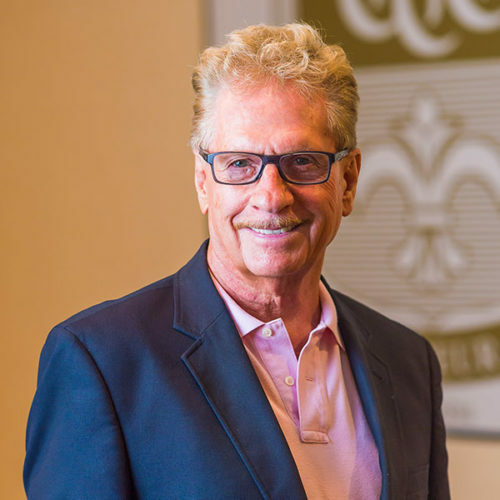 He has been a member of the Creve Coeur Club since 1985 and has served on the Board of Governors, Secretary, President from 1996-98, has chaired two Washington Day Banquets (1986 and 1987), was an original Kuhl Society member and chaired that committee in 2015-16. He has served on the Bradley University Board of Trustees 1994 – 2000 and 2001-2013 (Chairman 2002-06), President of the Bradley Chiefs Club 1986-99, President of the Bradley National Alumni Association, Bradley University Centurion, Bradley University Distinguished Alumnus Award 2000 and the Institute for Principled Leadership from 2010-present. 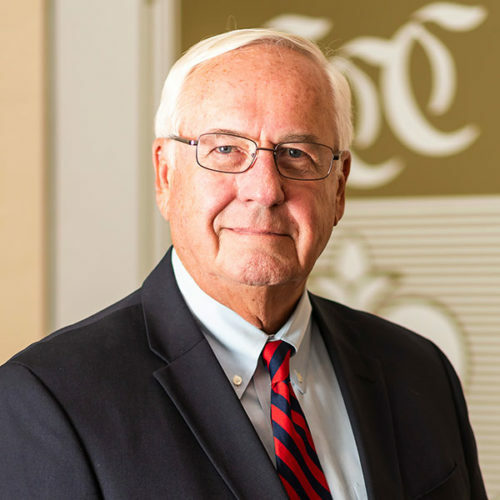 Rex was also on the Peoria Area Chamber of Commerce Board of Directors from 1980-88 (Chairman 1982-84) and Chair of the Community Leadership School in 1980. For the Economic Development Council of Central Illinois, he was a member of the Board from 1982-84 & 2008-present (Chairman 2011-12). For the American Red Cross, he was the Regional Blood Services Chair from 1988-90, Central Illinois Board of Directors, Midwest Regional Committee from 1996-2000 (Chair 1998-2000), National Board of Governors from 2000-2006 (Governance Committee 2004-06, Biomedical Chair 2005-06, Executive Committee 2003-06 and Vice Chair of Board 2005-06 and the Presidential Search Committee 2006-07). Additional Community Service for Rex includes OSF St. Francis Medical Center: Board of Children’s Hospital 1990 -? (Chair 1994-96), OSF Foundation Council for about 10 years (Chair 2 years), Community Advisory Board 1996-present (President 2 years), Salvation Army – Tree of Lights Campaign (Chair). Easter Seals – Chair of Tribute Dinner 2014; Lyle Finch Clay Bird Shoot Committee (2010-present), Quest Charter School – Barton Tribute Dinner Co-chair 2016, Peoria 1691 Foundation – Peoria Area Tri-Centennial Commission 1989-93 (Chair 1989-93), Peoria Sister City Commission 2000 – present (Chair 2008-present), Peoria Area Convention and Visitors Bureau – Board for many years (Chair 2011-15), Friends of Ray LaHood – Campaign Finance Chair 1994-2008, Peoria County Bar Association Board (President 2005-06), Ameri*Corps NCCC – Past Board Member. He has also served or continue to serve on the following boards: Creve Coeur Club of Peoria, Peoria Historical Society; Forest Park Foundation, Friends of Wildlife Prairie Park, Family House (Chair 1984-86), Central Illinois Community Foundation, Friends of Friedrichshafen, Peoria Symphony Foundation and the Peoria Gridiron Dinner (Chair 2001). He is married to Laurie Linder and the couple has two children: Stacie Linder Hansen and Jamie Linder. He says “The Club provides a wonderful environment in which to have relaxed and informal interaction with a variety of community leaders.